The NBA 2018-19 season has been a great season so far, with some teams performing exceptionally well while others failing to succeed. Some surprising results too were on display in the Week 21 of the 2018-19 season, which could have some huge ramifications in the run up to the post season. This is the time where most teams are looking to make a run for the playoffs and sneak in as the 7th or the 8th seed, just to give their fans hope that they too are competitive enough and give them something to cheer. With this in mind, let us look at the top 5 teams of Week 21. 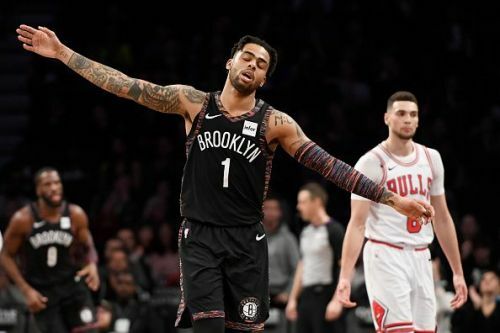 The Brooklyn Nets have been performing at the highest level all season long and their feel-good success story does not seem like it will be stopping anytime soon. They have been closing out some real tough games this season and are outperforming all expectations. They are currently 7th in the Eastern Conference with a 35-33 record. They have won 6 of their last 10 matches and are on a 3-game winning streak right now. They won all 3 of their games this week and against some easy opponents. They won a blowout game against the Dallas Mavericks, winning 127-88 in a huge win. They beat the Cleveland Cavaliers 113-107 in an entertaining matchup and finally got their 3rd straight win over the Atlanta Hawks, 114-112. They seem to have found a winning formula with this team and are actually able to close out games and these matches matter a lot in the push for the playoff spots as the Detroit Pistons, Miami Heat, Orlando Magic, Charlotte Hornets and the Washington Wizards are all trying to fight for the 6th, 7th and 8th spot in the Eastern Conference.